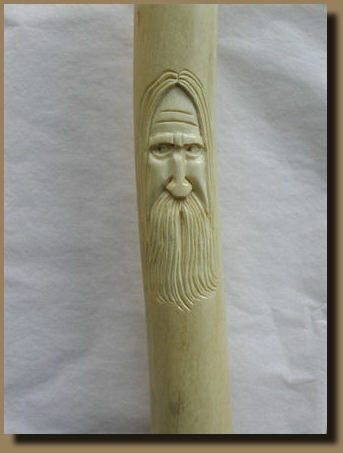 How to Carve a Woodspirit in a Hiking Stick by Sklyar Johnson. 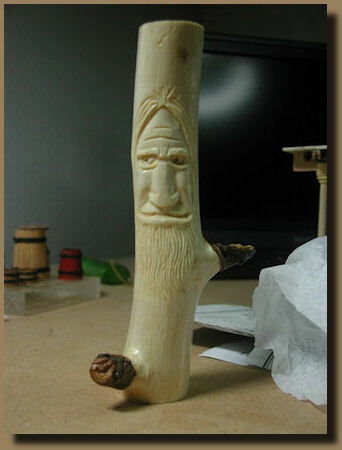 There is no better introduction to wood carving. You can read the review I posted on that Amazon page. Thanks to that booklet, with no experience and little effort I finally have that hiking stick, have given away a couple as gifts and, incidentally, found another excuse to buy more tools (including that nifty Flexcut Detail Knife you may be seeing as a cursor). 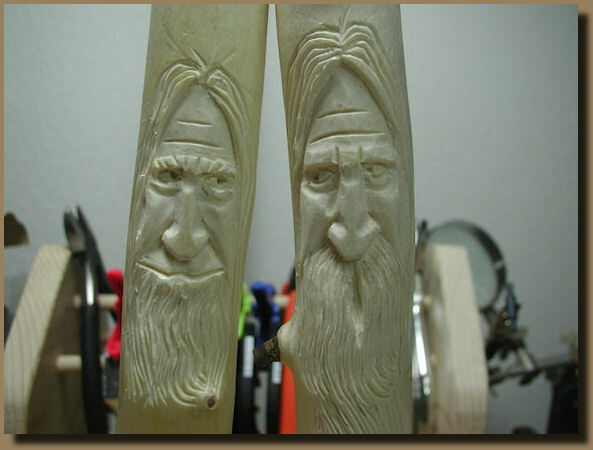 These represent some early attempts to learn basic wood carving. All contents copyright bilagaana. All rights reserved. The images are digitally watermarked and may not be copied in any form without the permission of the author. All constructive comments, suggestions, or questions are welcomed.